RAYBURN, Samuel Taliaferro, a Representative from Texas; born near Kingston, Roane County, Tenn., January 6, 1882; moved to Fannin County, Tex., in 1887 with his parents who settled near Windom; attended the rural schools and was graduated from the East Texas Normal College, Commerce, Tex., in 1903; studied law at the University of Texas at Austin; was admitted to the bar in 1908 and commenced practice in Bonham, Fannin County, Tex. ; member of the State house of representatives 1907-1913, and served as speaker during the last two years; elected as a Democrat to the Sixty-third and to the twenty-four succeeding Congresses and served from March 4, 1913, until his death; chairman, Committee on Interstate and Foreign Commerce (Seventy-second, Seventy-third, and Seventy-fourth Congresses); majority leader (Seventy-fifth and Seventy-sixth Congresses), minority leader (Eightieth and Eighty-third Congresses); elected Speaker of the House of Representatives September 16, 1940, to fill the vacancy caused by the death of Speaker William B. Bankhead; reelected Speaker in the Seventy-seventh, Seventy-eighth, Seventy-ninth, Eighty-first, Eighty-second, Eighty-fourth, Eighty-fifth, Eighty-sixth, and Eighty-seventh Congresses; died in Bonham, Tex., November 16, 1961; interment in Willow Wild Cemetery. Microfilm: 1905-1945, 73 reels. Originals from Franklin D. Roosevelt Library and Rayburn Library. Correspondence with family and prominent persons, speeches and other papers relating to his congressional career, and newspapers documenting his years in state legislature. Published guide. Microfilm: 1913-1961, 65 reels. Constituent correspondence, speeches, and other papers relating to legislation, politics, and national and international affairs. Originals at the Center for American History, University of Texas, Austin. Oral History: ca. 85 oral histories with colleagues, friends, and family. Sound Tape Reels: ca. 1944-1961, 5 sound tape reels. Assorted recordings with Sam Rayburn. Papers: In the Millard Cope papers, 1830-1974; approximately 4,452 leaves. Persons represented include Sam Rayburn. Papers: In the Dorothy Rylander papers, 1854-1988; 12,170 leaves. Persons represented include Sam Rayburn. Oral History: Katy Rayburn Thomas oral history interview, ca. 1969, 1 sound cassette. Katy Rayburn Thomas, sister of Sam Rayburn, discusses his political career and the Rayburn family. Papers: 1906-1990, approximately 119 feet. The papers of Sam Rayburn include correspondence, speeches, interviews, newspaper clippings, printed materials, financial records, maps, charts, and reports document his political career. The bulk is correspondence from government officials and constituents. Correspondents include Franklin D. Roosevelt, Harry S Truman, Dwight D. Eisenhower, Lyndon B. Johnson, John F. Kennedy, Hubert H. Humphrey, Adlai E. Stevenson, and John W. McCormack. A small portion comprises Rayburn family correspondence. Papers: 1935-1968, 2 inches. Copies of Federal Bureau of Information files comprise the Sam Rayburn FBI File, 1935-1968, documenting special investigations and death threats against Sam Rayburn. Papers: In the Robert L. Hardgrave collection, 1952-1956, 6 items. Correspondents include Sam Rayburn. Papers: In the D.B. Hardeman collection, 1934-1979, 6 inches. Persons represented include Sam Rayburn. Papers: In the UT Sam Rayburn Library and Museum collection, 2005-2006, 1 inch. Items relating to the 50th anniversary groundbreaking ceremony at the Sam Rayburn Library and Museum in Bonham, Texas, December 9, 2005: invitations, programs, seating diagrams, speaker bios, napkins, etc. Also material relating to the refurbishing of the museum exhibits. Papers: In the Alfred Dickinson Barksdale papers, 1905-1973, 7700 items. Persons represented include Sam Rayburn. Oral History: In the Hugh Scott Oral History Interview Regarding Sam Rayburn, 1980, 1 item. A transcript of an interview of Hugh Scott by Dr. Anthony Champagne of the University of Texas at Dallas, held June 23, 1980. Much of the interview is concerned with former House speaker, Sam Rayburn, although other politicians are mentioned, chiefly in the context of Rayburn's relationships with them. Allen, Edward. Sam Rayburn: Leading the Lawmakers. Chicago: Encyclopaedia Britannica Press, 1963. Brown, D. Clayton. "Sam Rayburn and the Development of Public Power in the Southwest." Southwestern Historical Quarterly 78 (October 1974): 140-54. ------. "The Sam Rayburn Papers: A Preliminary Investigation." American Archivist 35 (July/October 1972): 331-36. Champagne, Anthony. Congressman Sam Rayburn. New Brunswick, N.J.: Rutgers University Press, 1984. ------. "Sam Rayburn: Achieving Party Leadership." Southwestern Historical Quarterly 90 (April 1987): 373-92. ------. Sam Rayburn: A Bio-Bibliography. New York: Greenwood Press, 1988. Collier, Everett. "Rayburn for President? A Footnote to the 1952 Election." Texas Quarterly 9 (Winter 1966): 102-6. Daniel, Edward Oda. "Sam Rayburn: Trials of a Party Man." Ph.D. diss., North Texas State University, 1979. Dorough, C. Dwight. Mr. Sam. New York: Random House, 1962. Dulaney, H.G., and Edward Hake Phillips, eds. Impressions of Mr. Sam: A Cartoon Profile. Preface by MacPhelan Reese. Bonham, Tex. : Sam Rayburn Foundation, 1987. Dulaney, H.G., and MacPhelan Reese, eds. "Speak, Mr. Speaker." Bonham, Tex. : Sam Rayburn Foundation, 1978. Emswiler, Marilyn. "Mr. Speaker: Sam Rayburn." Texas Historian 33 (March 1973): 20-25. Faulkner, Georganne. "Rayburn Library: A Political Legacy." Texas Libraries 48 (Winter 1987-1988): 115-18. Guide to the Microfilm Edition of the Sam Rayburn Papers. Bonham, Tex. : Sam Rayburn Library, 1972. 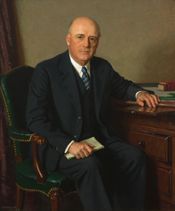 Hairgrove, Kenneth D. "Sam Rayburn: Congressional Leader, 1940-1952." Ph.D. diss., Texas Tech University, 1974. Hardeman, D. B. "Sam Rayburn and the House of Representatives." In The Presidency and the Congress: A Shifting Balance of Power?, edited by William S. Livingston, Lawrence C. Dodd, and Richard L. Schott, pp. 226-52. Austin: Lyndon B. Johnson School of Public Affairs, University of Texas, 1979. Hardeman, D.B., and Donald C. Bacon. Rayburn: A Biography. Austin: Texas Monthly Press, 1987. Hinga, Don. "Sam Rayburn: Texas Squire." Southwest Review 29 (Summer 1944): 471-80. Little, Dwayne Lee. "The Political Leadership of Speaker Sam Rayburn, 1940-1961." Ph.D. diss., University of Cincinnati, 1970. Miller, Hope Ridings. "In Memoriam: Mr. Sam." Diplomat 12 (December 1961): 20-21. Mooney, Booth. Roosevelt and Rayburn: A Political Partnership. Philadelphia: Lippincott, 1971. Nash, Walter C. "Sam Rayburn: The Congressman of the Fourth District." Master's thesis, East Texas State Teachers College, 1950. Porter, David. "The Battle of the Texas Giants: Hatton Sumners, Sam Rayburn, and the Logan-Walter Bill of 1939." Texana 12 (1973): 349-61. Rayburn, Sam. "A Teacher Who Seized Time by the Forelock." National Education Association Journal 49 (March 1960): 25. Riddick, Floyd M. "Sam Rayburn." In Public Men In and Out of Office, edited by John Thomas Salter, pp. 147-66. Chapel Hill: University of North Carolina Press, 1946. Shanks, Alexander Graham. "Sam Rayburn and the Democratic Convention of 1932." Texana (Winter 1965): 321-32. ------. "Sam Rayburn and the New Deal, 1933-1936." Ph.D. diss., University of North Carolina, 1965. ------. "Sam Rayburn in the Wilson Administration, 1913-1921." East Texas Historical Journal 6 (March 1968): 63-76. ------. "Sam Rayburn: The Texas Politician as New Dealer." East Texas Historical Journal 5 (March 1967): 51-59. Smallwood, James. "Sam Rayburn and the Rules Committee Change of 1961." East Texas Historical Journal 11 (Spring 1973): 51-54. Steinberg, Alfred. Sam Rayburn: A Biography. New York: Hawthorn Books, 1975. U.S. Congress. House. Mr. Speaker: Excerpts from the Congressional Record . . . in Tribute to the Honorable Sam Rayburn, of Bonham, Texas. Washington: Government Printing Office, 1952. U.S. Congress. House. The Leadership of Sam Rayburn: Collected Tributes of His Congressional Colleagues. 87th Congress. 1st session. Washington: Government Printing Office, 1961. U.S. Congress. House. Memorial Services Held in the House of Representatives and Senate of the United States, Together with Remarks Presented in Eulogy of Sam Rayburn, Late a Representative of Texas. 87th Congress. 2nd session. Washington: Government Printing Office, 1962. U.S. Congress. House. Proceedings at the Dedication of the Sam Rayburn statue, main stair hall, Independence Avenue entrance, Rayburn House Office Building, Washington, D.C., January 6, 1965. 89th Congress. 1st session. Washington: Government Printing Office, 1965. U.S. Congress. Senate. Committee on Banking and Currency. Rayburn Medal. Washington: Government Printing Office, 1962. Young, Valton Joseph. The Speaker's Agent. New York: Vantage Press, Inc., 1956. Personal memories of Speaker Sam Rayburn of Texas. Childhood memories of an opening day of Congress. The 1956 Congressional Baseball Game at Griffith Stadium was featured in the 1950's Department of Defense "Information & Education Sportsreel." The Republicans won the five inning game with a score of 8 to 7.